How do I start the process of renting my property out? Firstly, contact Prospect Estate Agency! We will then arrange a time that is convenient for you to carry out a free, no obligation rental valuation. At this time, our expert agents will give you all of the information that you will require to begin the process of letting your property. What costs are involved in lettings my property? Costs can vary depending on the size of the property, whether it's furnished or unfurnished, how many bedrooms it has and the Property Management level you wish to join. For a complete breakdown of all of our Landlord Fees then click here. Our expert agents will be happy to discuss details of this with you following your free, no obligation rental valuation. When will viewings occur? Do I need to be present for them? We will conduct viewings of your property 7 days a week, from early morning to early evening. We will accompany prospective Tenants on all viewings, so your presence will not be required. We sometimes find that Tenants often feel more relaxed and ask more questions when the Landlord/owner is not present. The tenant’s deposit will be registered with the Tenancy Deposit Scheme. This is a government run scheme, allowing you to rest assured that the deposit is in safe hands and completely protected. Can you arrange an inventory for my property? We can organise an Inventory of your property quickly and easily. Contact your local branch to find out more. How will you market my property for rental? 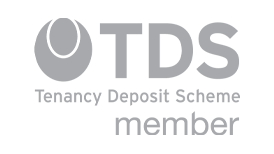 Prospect’s innovative marketing includes industry leading property particulars and a dynamic online strategy. As 88% of property searches begin online, we understand the importance of ensuring maximum online exposure for your property. We will promote your property on our main website prospect.co.uk, which receives over 1000 hits a day, alongside all the major property portals – including Rightmove. Click here to find out more about our marketing services for Lettings properties. Do I need to inform my mortgage company that the property is being let? Yes. There are often restrictions with regard to letting your property, which is likely to be prohibited without permission. It is rare for lenders to refuse permission and typically you will agree a time period in which you can legally let your home. Prospect are partnered with MAB, who can provide you with expert, independent mortgage advice. Yes, our Property Management services are designed to take the stress out of being a full time Landlord. Our experienced Property Managers oversee everything from maintenance checks to complete refurbishment solutions, informing you of the latest legal requirements, taking care of your property and relieving you of the responsibility. 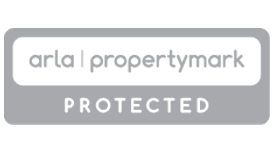 Read more about our Property Management department, or contact them directly on 0118 955 9747. .
Do you offer a protection service? We understand that minimising the risk on your investment is always a priority for a Landlord. That’s why we will arrange for you to receive 6 months Free Legal Costs and Rent Protection Insurance (subject to T&C’s), when you rent your property through us. Are you a member of any Lettings Associations? Yes. 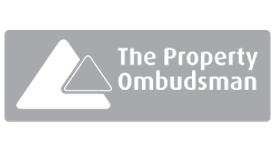 Prospect are regulated by, or members of; ARLA, The Lettings Property Ombudsman, The Guild of Residential Landlords and The Tenancy Deposit Scheme. Do I have the option to rent the rooms out individually rather than the entire property? Yes. Prospect Rooms gives you the opportunity to achieve a higher yield for your property. 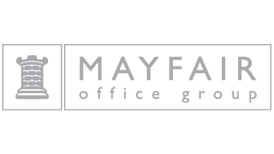 Using our network of offices and Award Winning Lettings team, we can fill your vacant rooms quickly and dramatically increase the amount of rent you are receiving. Click here to find out more about Prospect Rooms. What references will the tenant need to supply? Will Prospect be contactable over the weekend? Yes, our Lettings Agents and Property Management team are available to contact 7 days a week. What safety regulations will I have to abide by having a rental property? There are a number of safety and legal obligations that Landlords must adhere to when renting a property. These apply to gas safety, fire safety, electrical wiring, appliances and more. If you opt for our Premier or Overseas Property Management Services, we will ensure that you adhere to all legal obligations. We are happy to offer guidance and advice to all Landlords, no matter the service. Who does my tenant contact if they have any problems or maintenance issues during their tenancy? Should I rent my property out furnished or unfurnished? Are smoke dectectors required if I let my property out? It is essential to install new buildings or conversions. We recommend installing at least one alarm on each floor of your property, regardless of its age. Have you got a question we’ve not answered? We get asked literally thousands of questions by our landlords and we couldn’t ever list them all. We can answer them all though. So if you’ve got a question that we’ve not covered online, don’t worry, you’re not alone! Just complete the form below with your details and question(s) and we’ll get straight back to you with everything you want to know.